Close to 35,000 South Australians enlisted for service overseas during the Great War. Around 5500 never came back. Countless more returned with physical and psychological injuries that would affect them for the rest of their lives. 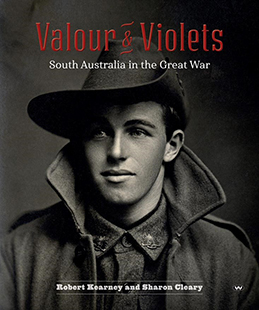 Valour and Violets brings together for the first time the stories of the campaigns and battles in which South Australians served, set against the backdrop of the South Australian home front. Here are the stories of Frederick Prentice, the first of three Indigenous South Australians to be awarded the Military Medal; Thomas Baker, the gunner who became an ace pilot; and Sister Margaret Graham, awarded the Royal Red Cross for her contribution to army nursing. Here too are lesser known stories, such as that of Alexandrina Seager, who formed the Cheer-Up Society back home and worked every single day during the war, despite losing her youngest son at Gallipoli. Or Clara Weaver of Rosewater, who not only lost five sons to the war but also her husband, George, who died at home before the war ended. Drawing on the work of the many who have written on the subject previously, Valour and Violets provides a wholly South Australian perspective on the impact of the Great War on individuals, on families and on our state’s coastal, regional, and outback communities.Hundreds of amazing images and stories are represented (many for the first time) in this beautifully presented, limited edition hardback. 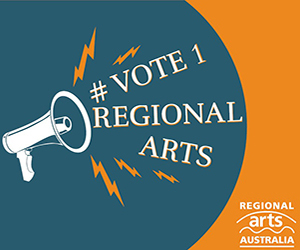 Robert Kearney is a military historian with insight that comes from 20 years of service in the Australian Regular Army and a further 18 years in the Army Reserve, mostly as a commissioned officer. Valour and Violets is Robert’s sixth book about Australia’s military history. In 2016, Robert was awarded an OAM for his service to military history preservation and the community. Sharon Cleary developed a passion for Australia’s military history when as a teenager she read A.B. Facey’s A Fortunate Life. A communications specialist, Sharon came to Valour and Violets in 2017 via her role as manager of the Anzac Centenary Coordination Unit for Veterans SA. Sharon managed the compilation and editing of Valour and Violets hand in hand with Wakefield Press. Valour and Violets: South Australia in the Great War is published by Wakefield Press and is available from all leading book retailers including Booktopia.